Maven is no longer some pet project by General Motors. The automaker continues to dump considerable capital and resources into its personal mobility platform and Maven is ready to expand into all-new territory. “Maven Gig” has been announced as the latest facet of the mobility brand and aims to accelerate those working in the freelance economy. 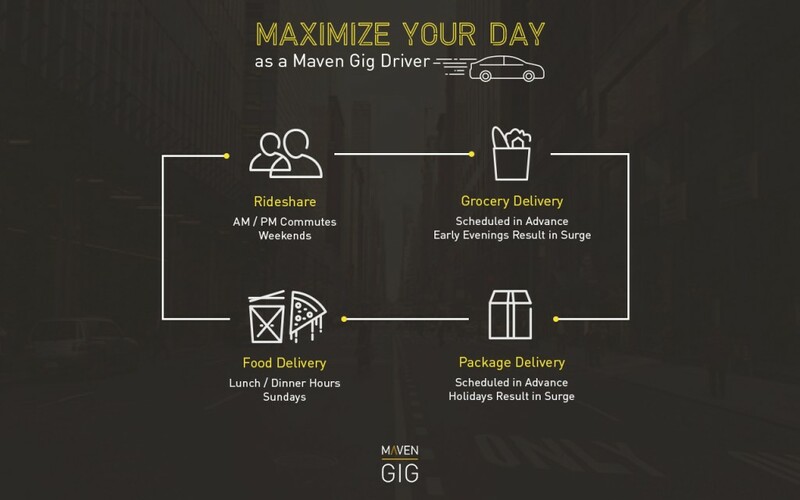 Specifically, Maven Gig provides transportation for those seeking wheels in an independent contractor position. To begin, GrubHub, Instacart and Roadie have partnered with Maven Gig. GrubHub allows drivers to deliver their eats to customers, InstaCart lets user orders fresh groceries for delivery and Roadie provides an app-based delivery service for those going the same direction, connecting people to provide carpooling for packages. Those who find a side gig with one of the three initial partners now have access to a 2017 Chevrolet Bolt EV through Maven Gig for $229 a week. The service provides transportation for those with unsuitable vehicles, or for those who simply don’t want to use their personal vehicle for freelance purposes. As always, Maven provides insurance, free maintenance and no mileage caps. For Maven Gig, the service also offers free charging at EVgo stations. Research shows freelance work is expected to climb in the next three years; 43 percent of the U.S. workforce is expected to be made up of freelance work. Maven Gig looks to capitalize on that statistic. Maven Gig has officially gone live in San Diego, California. San Francisco and Los Angeles will be treated to Maven Gig later this year. 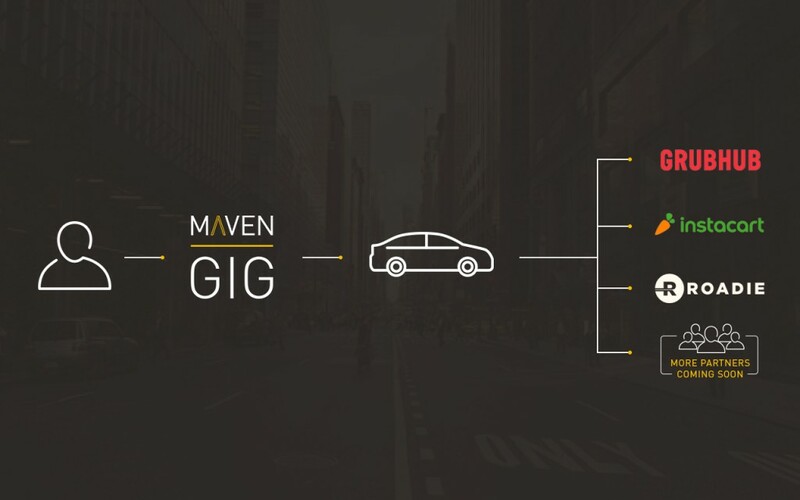 Maven’s traditional car-sharing service is available in numerous cities across the U.S.